ClimateActivePaint IndustrySP is a ready-to-use industrial surface coating for engineering structures such as tanks, pipelines, containers and steel structures, which operates by the thermo-ceramic membrane principle. 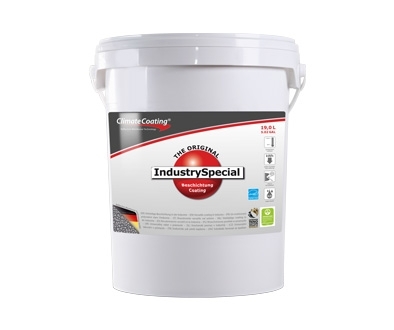 Consumption of ClimateActivePaint IndustrySP will be of the order of 600 ml/sqm for a minimum effective coat thickness of 400 μm on smooth and non-absorbent surfaces. Quantities consumed will depend upon the structure and absorbency of the base material, and may be determined by the coating of a test area. The optimisation of energy effieciency, where the product is to be used for thermal protection in summer, will require an increase in the coating thickness, depending upon the climate and the base material.